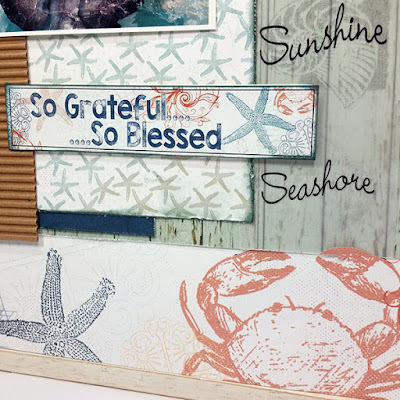 Blog Quick Quotes: Seashore Inspiration with Susie! Hello and welcome! 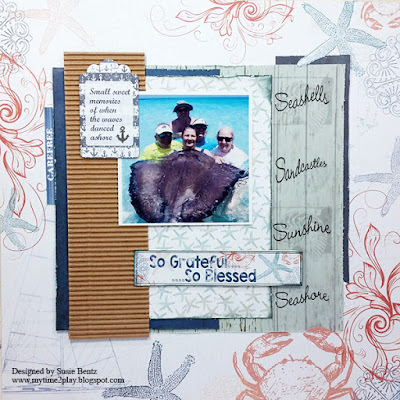 Susie hosting the blog today and I am ready for summer! Maybe it has something to do with the Adventure Awaits collection! 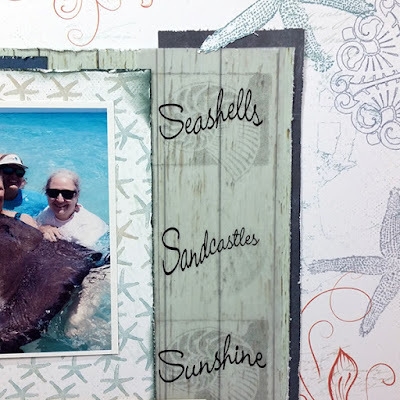 The blue, aqua and coral color scheme and all the beachy seashore images are perfect for this time of year and I have a layout to share with you! I layered lots of papers to create a central mat for the picture. The chipboard tag is from the Anchors Aweigh Collection and it coordinates beautifully! I used a craft knife to cut out one of the starfish arms and pulled it out on top of my layers. Instant dimension! 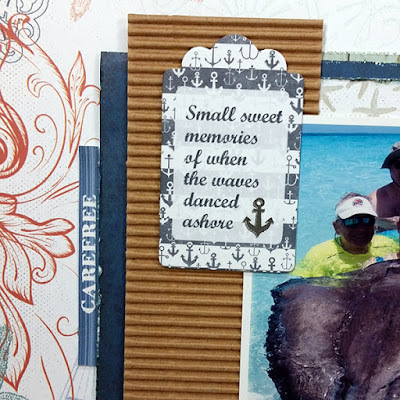 I distressed and inked the edges of the papers with Slate PowderPuff Chalking Ink. The Sunshine Vellum looks great over the faux wood paper! I always feel so grateful for any time I am able to spend with family and friends - and if it happens to be at the beach I know I am blessed! This perfect sentiment was cut out of the 12" x 12" Quotes and Phrases sheet.